We're all Thankful for our blessings! 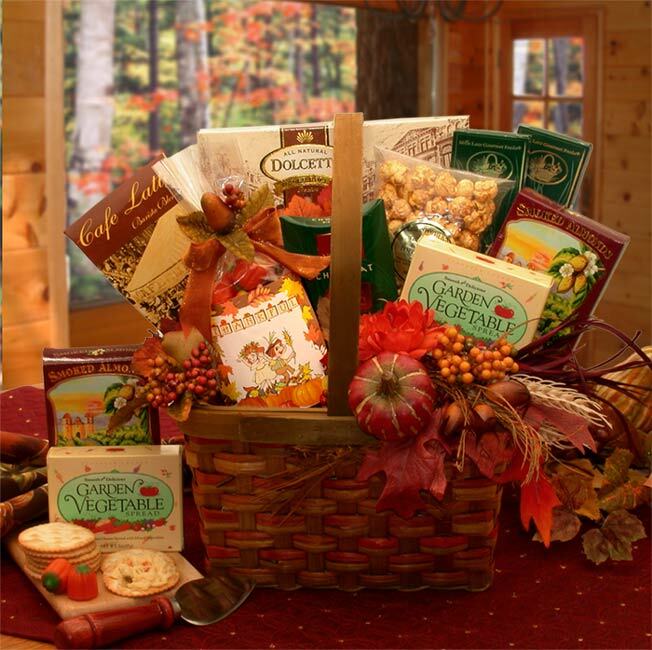 Show them how much you care with our exclusive Harvest Blessings Gourmet Fall Gift Basket. The unique "Thankful" fall candy corn mix says it all with its festive little pilgrims and decorative "Thankful" message. Encompassed in a fall market basket the delicious fall. The basket includes: Café latte Mocha Mix, Dolcetto Vanilla Cream Pirrouline cookies, Creamy Garden Herb & Vegetable dip, Smoked Almonds, 2 oz Crunchy Caramel corn, Stone Wheat Crackers 2 oz, Monbana French Chocolates.